Townhouse with 3 bedrooms located in Pinar de Campoverde. The property consists downstairs of: living and dining room, kitchen with access to a patio with storeroom, one bedroom and one toilette. Upstairs is where you will find two double bedrooms both with wardrobes and terraces and the family bathroom. 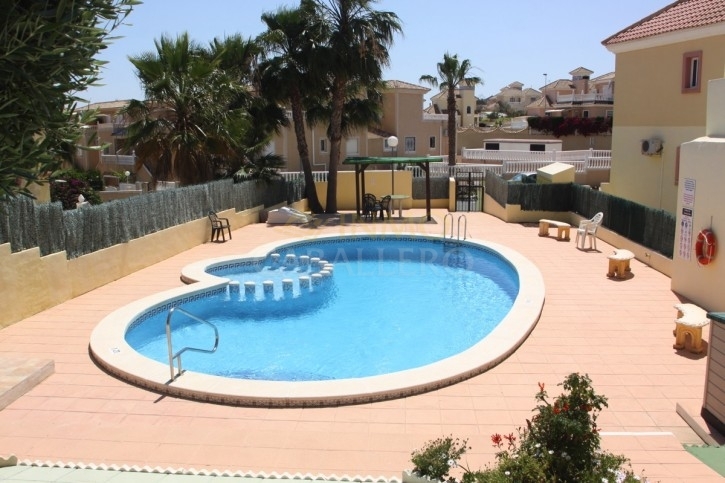 Only a short walk to all amenities and has access to two communal swimming pools.